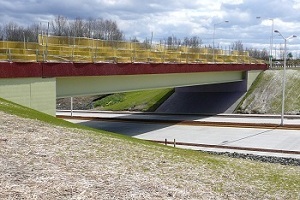 New bridges are common for locations that require increased mobility where there are natural or manmade obstructions. Common types of new bridge designs are grade separation projects for highways and railroads, or overcrossings for bodies of water. Often with new bridges, there is a high level of coordination with the owner to make sure the structure meets their current and future needs. Replacement bridges are common where an existing structure does not meet the mobility demands of the region, or is near the end of its design life and repair would be financially unreasonable. 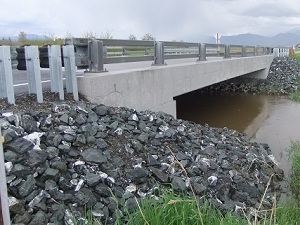 Additionally, a common replacement project is to convert an existing culvert that cannot meet the demands of the current design flood event into a short span bridge. This provides the benefit of opening up the waterway back to a more natural state. Replacement projects are typically located in the same footprint of the original structure, and generally try to minimize the impact to the existing road alignment and surrounding area.